I saw this on my cousin, Wally’s Facebook page. I was cracking up reading it. So I had to find it a post to share. And I’ve said it before, who comes up with this stuff and how does it get around for people to see. Some people are really creative and have a lot of time on their hands. They say laughter is the best medicine. 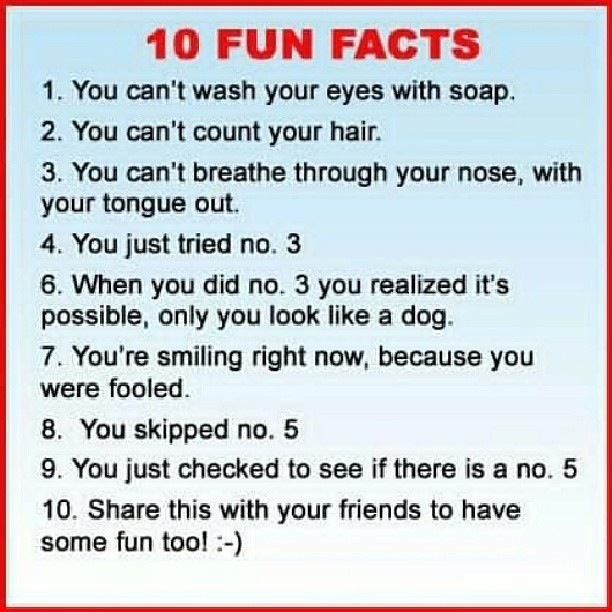 We all could use a little bit laughter in our lives! did not make any changes to. men to realize that their brain is also important. Heal the past, live the present! Hope this puts a smile on your face. Enjoy. 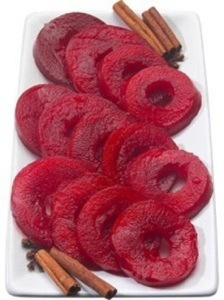 Do you remember Cinnamon Apple Rings that were served with your school lunches? I don’t think I ever ate those little red apple rings that came with my lunch. I saw them more as something that took the space of an extra serving of mashed potatoes or a cookie. I’m sure there was a reason that the cafeteria workers served us those nasty little apple rings. But could they really be considered a fruit? Even after looking up pictures and recipes of Cinnamon Apple Rings, I still don’t think I will ever try them. I think I have post traumatic food syndrome for all those years of them being served to me. Just in case, you like Cinnamon Apple Rings, here is a recipe just for you. I have been making these for Thanksgiving for my family for about 20 years. Simple, delicious and colorful too! Combine all of the above ingredients except the apples in a skillet to make a syrup. Pare and core apples (Rome seems to work best). Slice into 1/2-inch rings. Cook apple rings in covered skillet in syrup until tender. Did you see this story that was on the Internet this week? How funny is this wedding invitation that was sent out this couple. If I was to ever get married, I would hope that I would be as creative as this couple. I do want to have a party for when I turn 50, maybe I need to start thinking of some clever things to put on the invitation. A Chicago couple’s wedding invitation went viral on Wednesday, briefly surpassing the royal baby in popularity. 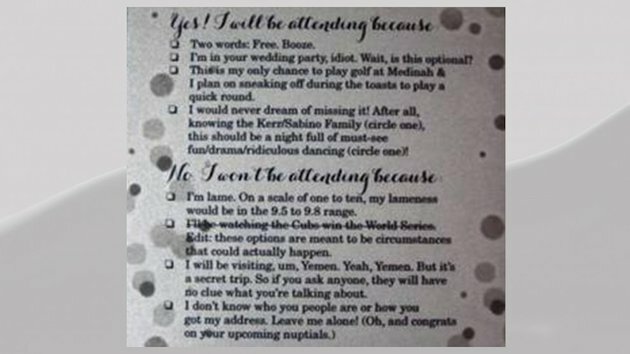 She and her husband, Chris Sabino, made guests check off their reason for attending or not attending their wedding in a clever RSVP. “We wanted to have fun with it,” Kerr said. – Two words: Free. Booze. – I’m in your wedding party, idiot. Wait, is this optional? – This is my only chance to play golf at Medinah & I plan on sneaking off during the toasts to play a quick round. – I would never dream of missing it! After all, knowing the Kerr/Sabino Family (circle one) this should be a night full of must-see fun/drama/ridiculous dancing (circle one)! – I’m lame. On a scale of one to ten, my lameness would be in the 9.5 to 9.8 range. Edit: these options are meant to be circumstances that could actually happen. – I will be visiting, um, Yemen. Yeah, Yemen. But it’s a secret trip. So if you ask anyone, they will have no clue what you’re talking about. Best wishes to the bride and groom! If this is how you are starting off your marriage, the fun has only just begun! 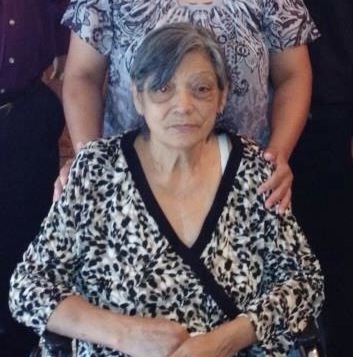 Yesterday, my Tia (Aunt) Lupe Martinez died after being in poor health these past couple of years. As long as I have been alive, I’ve always called her by her name, Lupe. Not Tia or Aunt. Just by her first name. She was my dad’s sister and is the third one of his siblings that have passed away out of 10. Since moving down to Texas eight years ago, I was able to spend time with her. She was an amazing person. The things that she had gone through was enough for four people’s lifetimes. How she managed to stay alive with all the heartbreak and health problems is truly amazing. First, she loses her son, Willie to cancer. Then she loses another son, Franky. Then, last year, she lost her third son, Tudy. In between all of that, she lost both her parents (my grandparents) and her husband, Fernando. And then there were her health problems. I’m sure her medical files were as big as my mother’s file were. I am sad that she is no longer with us, but I know that she is in a better place. A place with her sons and husband; pain-free and happy, really happy for the first time in a long time. I can see her being her loud, lively self again and catching up with family, friends and my mom on what’s been going on. R.I.P. Lupe, you will be missed! I saw this and thought it was pretty funny. I even laughed out loud in the office. 1. If you are choking on an ice cube, don’t panic. Simply pour a cup of boiling water down your throat and presto. The blockage will be almost instantly removed. If it doesn’t move and should, use the WD-40. If it shouldn’t move and does, use the duct tape. I saw this on a friend’s Facebook page. What a way to honor a hero! 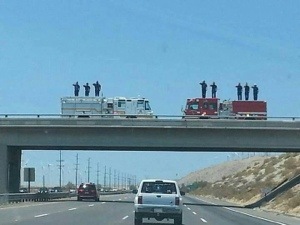 The ashes of Sean Misner, one of the 19 firefighters who died last week in Arizona, were being transported by his wife back to their hometown on Tuesday. She was in his truck and is pregnant with their unborn child. On every overpass for nearly 500 miles there was a tribute similar to this. other stuff that has been on tv lately. Wanted to share because our media has seemed to overlook it.